A wooden headboard or footend is aesthetically pleasing, especially with the range of wood finishes available for the Bradshaw Care Home Beds. Despite fitting into a domestic environment, a headboard with such a solid construction has the potential to cause a user a possible injury, especially if they are restless in the night. 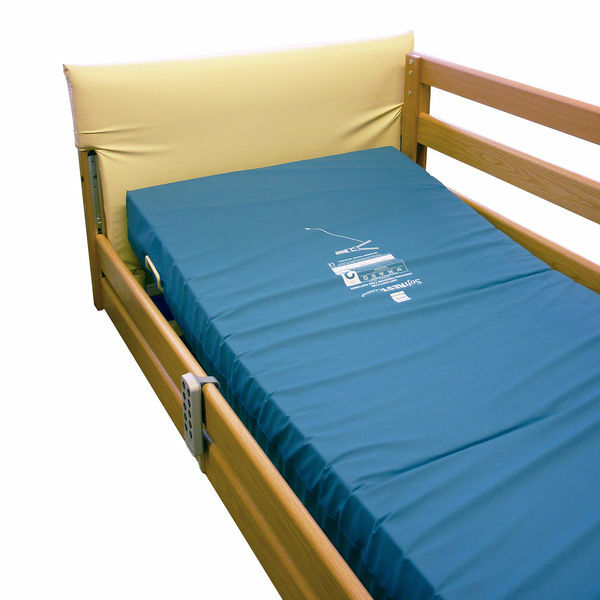 The Sidhil Bradshaw Bed End Pads are ideal for protection, cushioning the wooden boards to prevent parts of the body coming in direct contact with the panels, bolstering patient safety and creating a safer environment. Please be advised that the Sidhil Bradshaw Bed End Pads is usually delivered within 1 week of your order being placed. We would advise you to consider this delivery estimation before placing your order. For more information, please contact our Customer Care Team at 020 7501 0592.